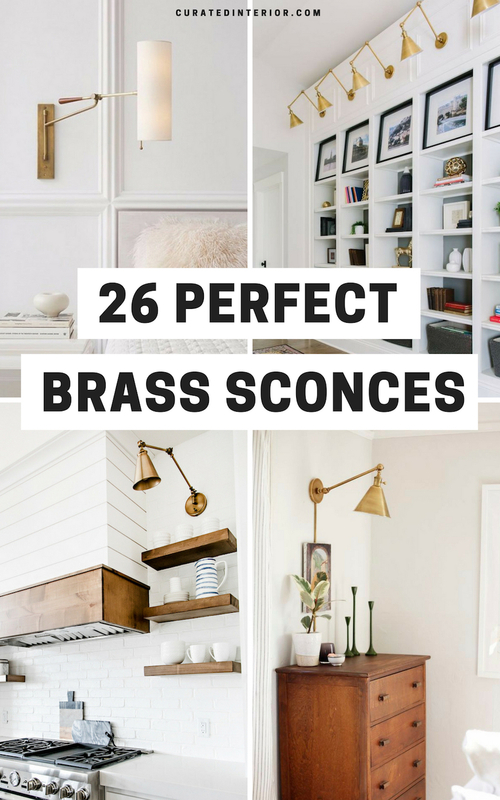 There’s no hardware finish more in style than brass. 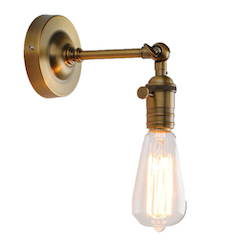 If you’re looking for a wall scone, then you should absolutely consider this finish! 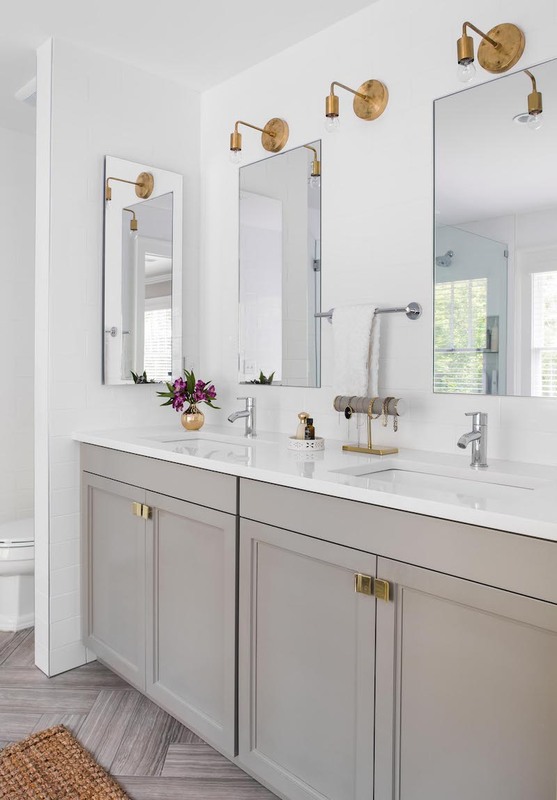 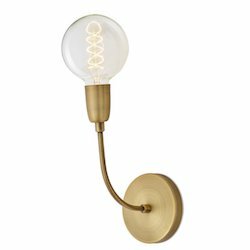 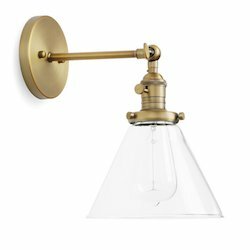 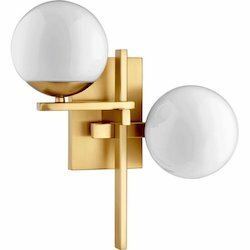 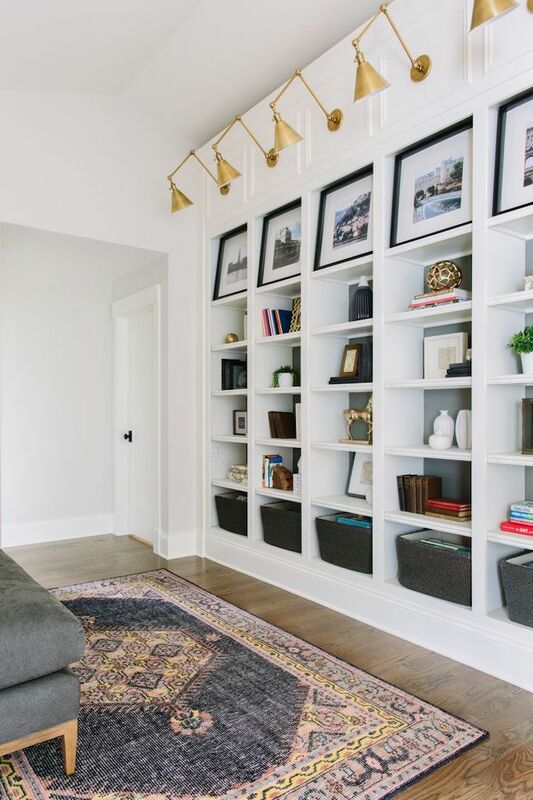 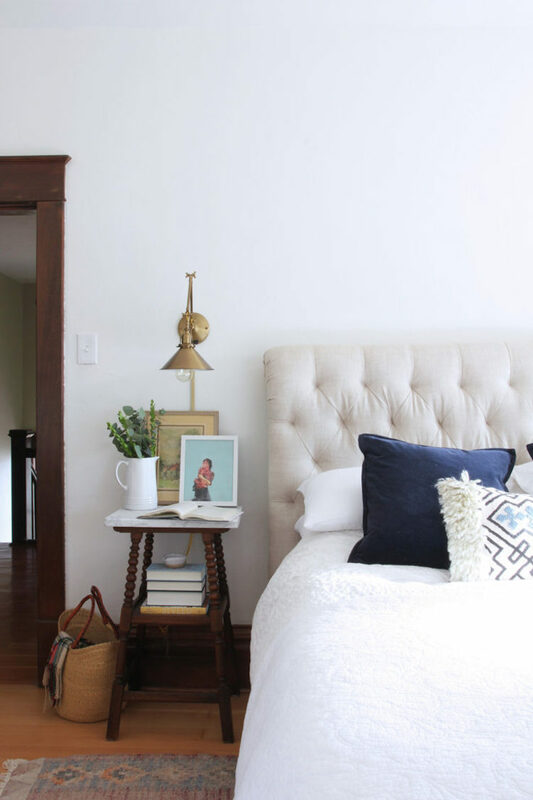 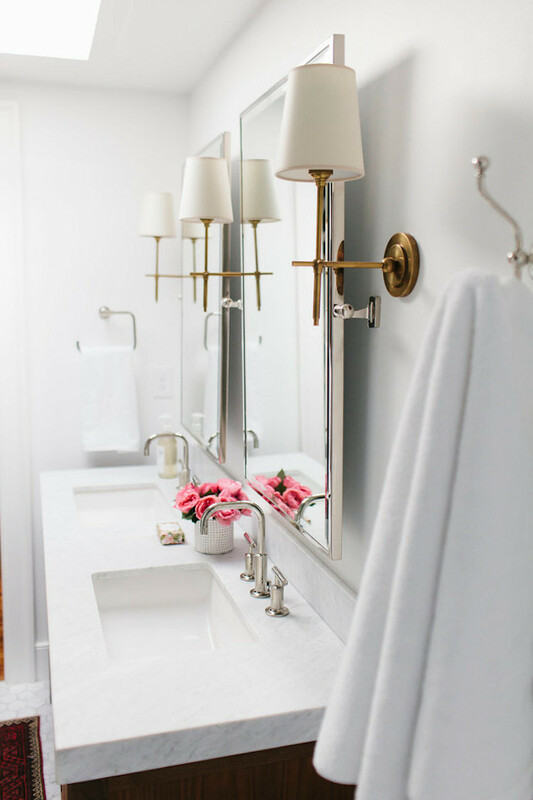 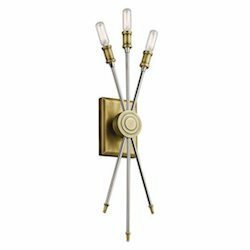 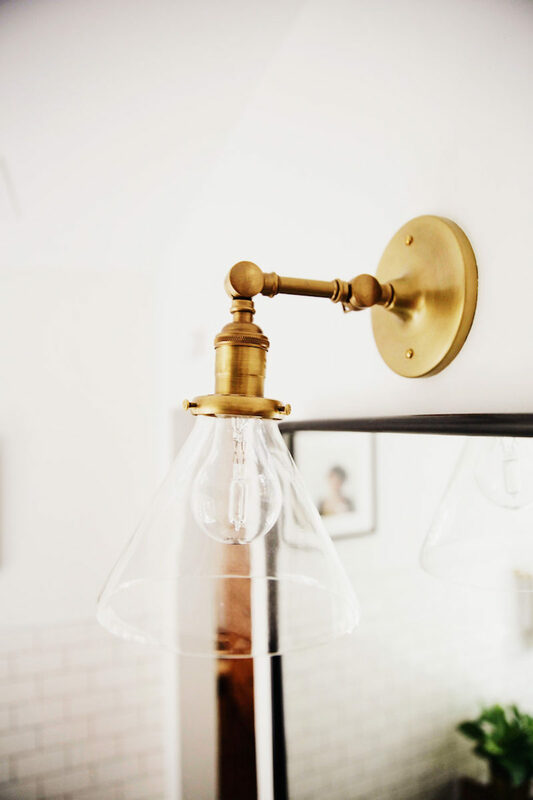 Brass wall sconces look great in a variety of rooms, from above the shelving in the living room, to along the walls of the bedroom, or lighting up the kitchen as you cook. 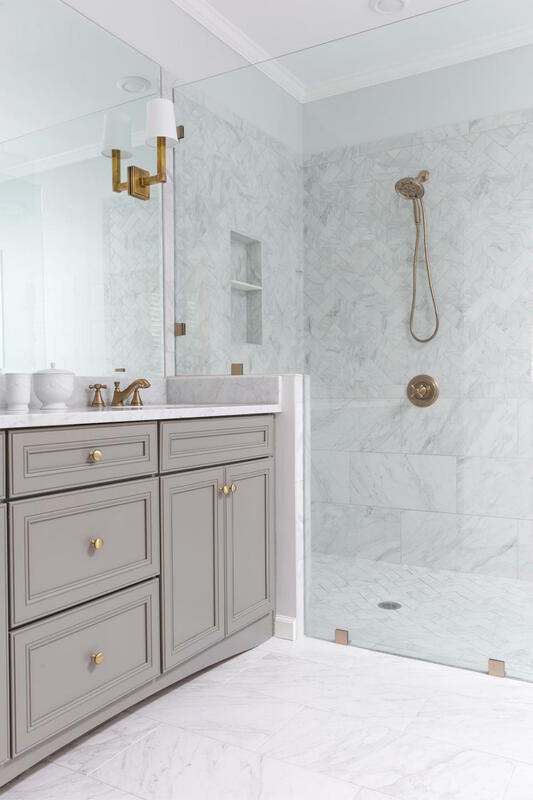 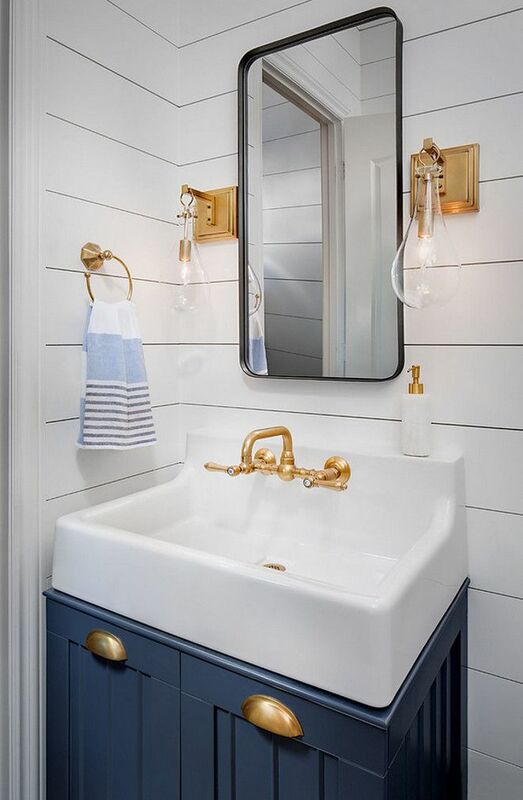 The reason why I love brass so much is that it blends in well with so many different interior styles. 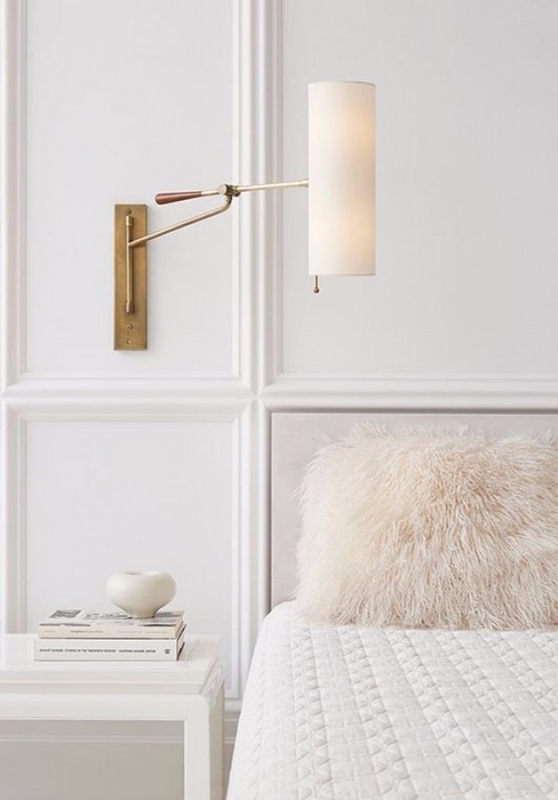 I have to say it looks wonderful against a soft neutral colored wall. 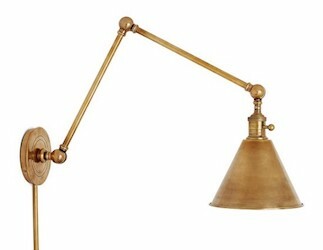 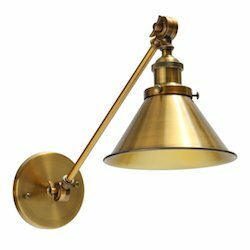 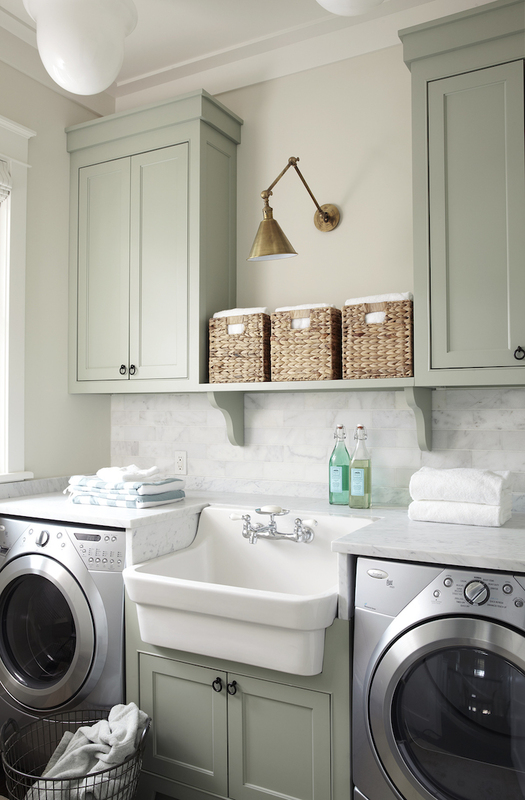 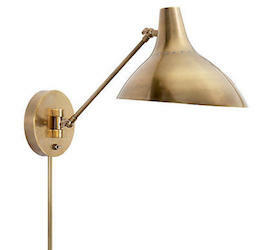 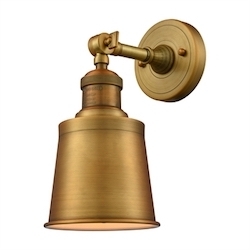 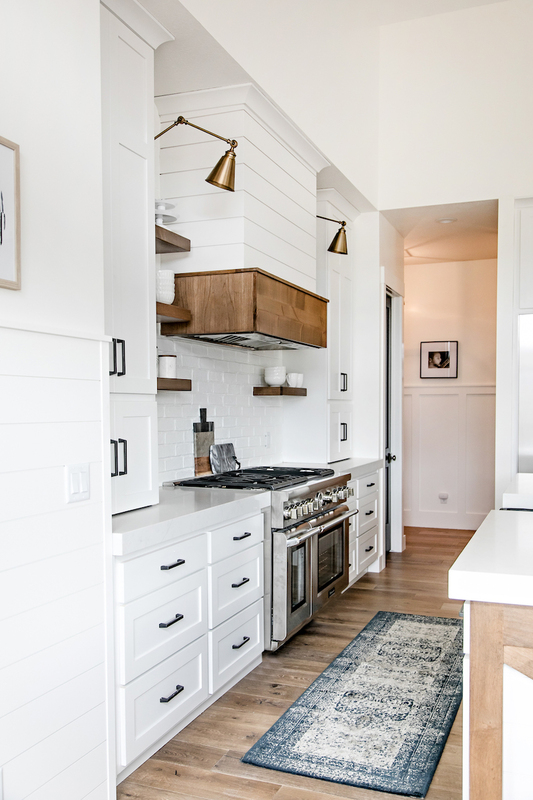 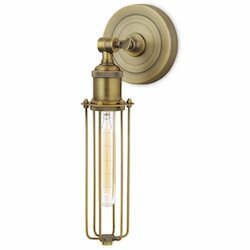 The slightly worn brass finish can give the room an industrial or farmhouse feel. 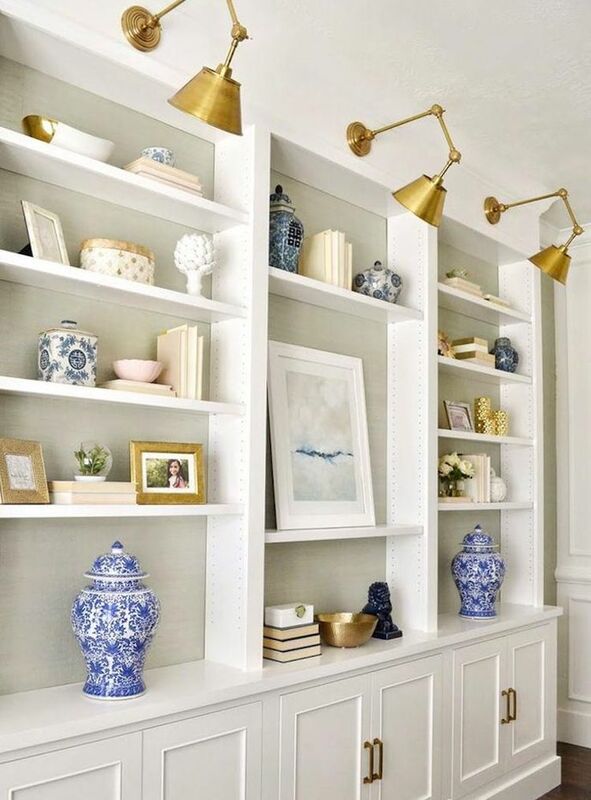 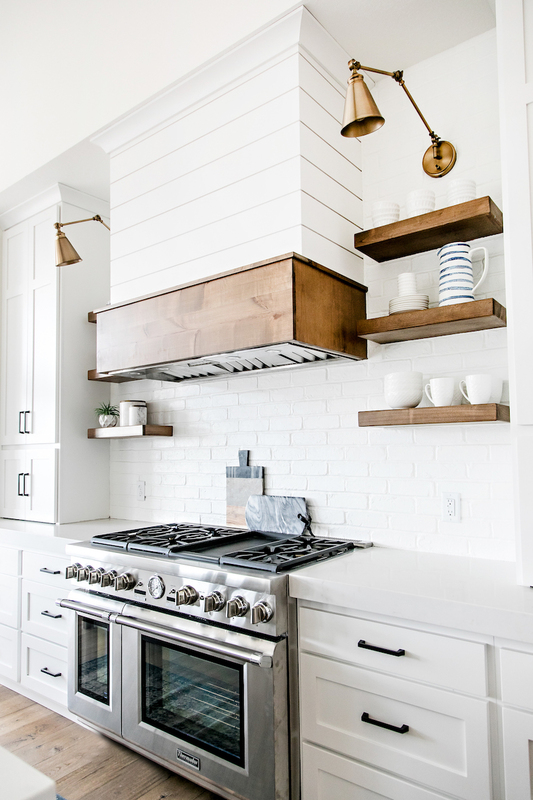 If you’re looking to get this look in your home, keep reading! 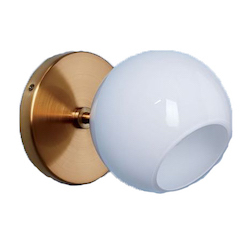 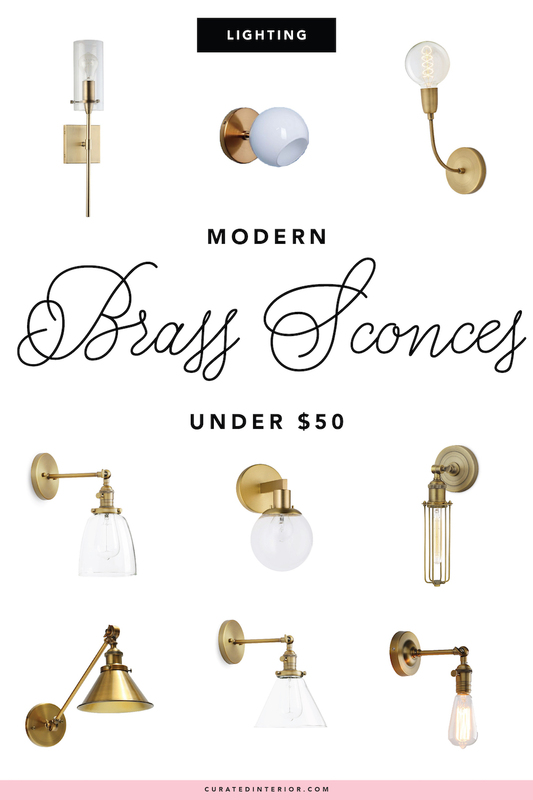 You’d never guess it, but you can find some awesome brass sconces for less than $50 if you know where to look. 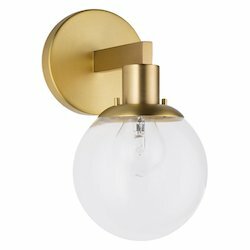 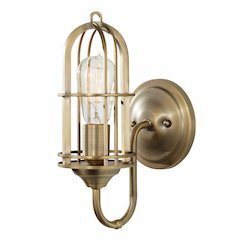 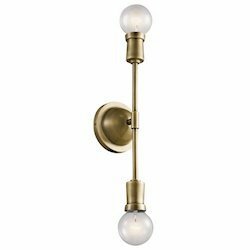 If you’re budget-minded, then Amazon is a great place to start when looking for beautiful brass sconces under $50. 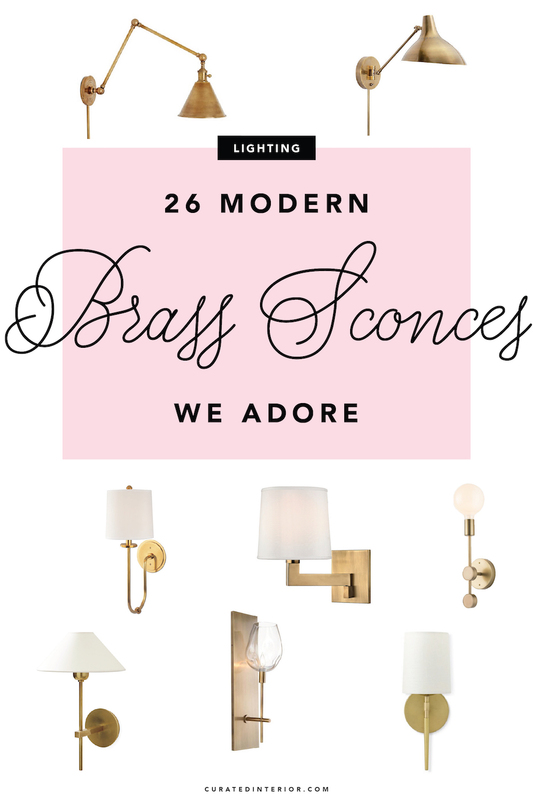 Personally, this is my favorite section of brass scones. 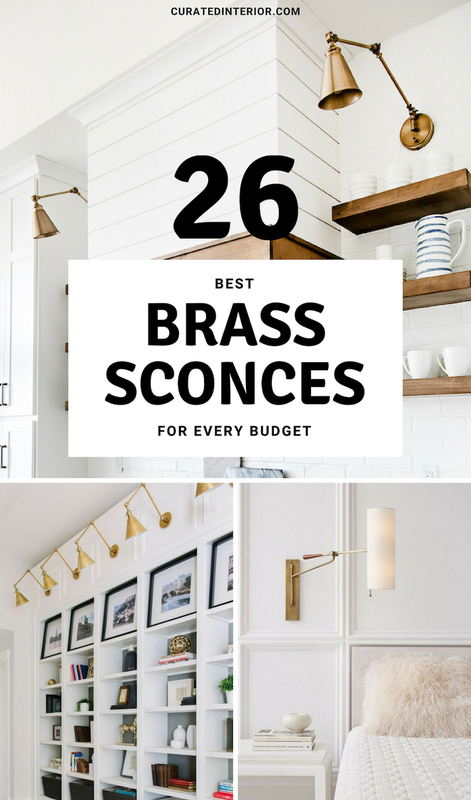 There are lots of great picks that are durable enough to last many years, while not breaking the bank! 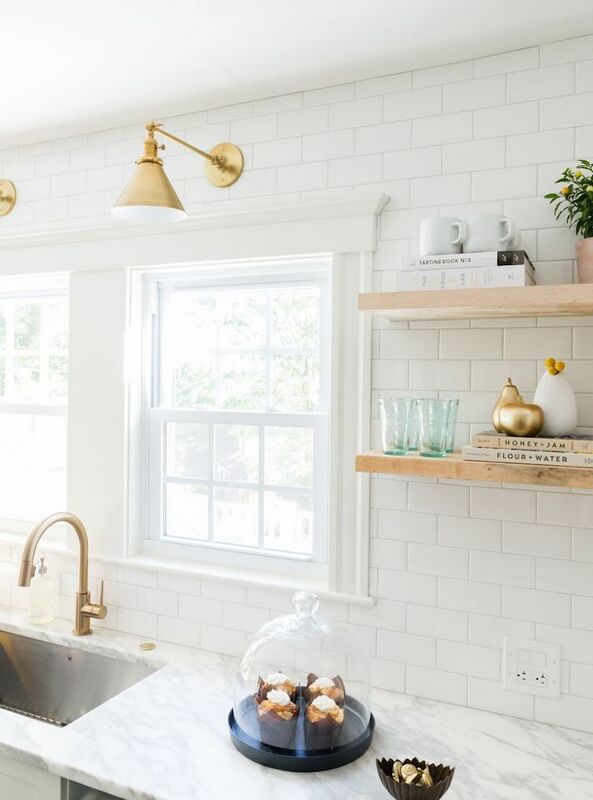 These scones hit a nice middle ground of classic style and modern taste. 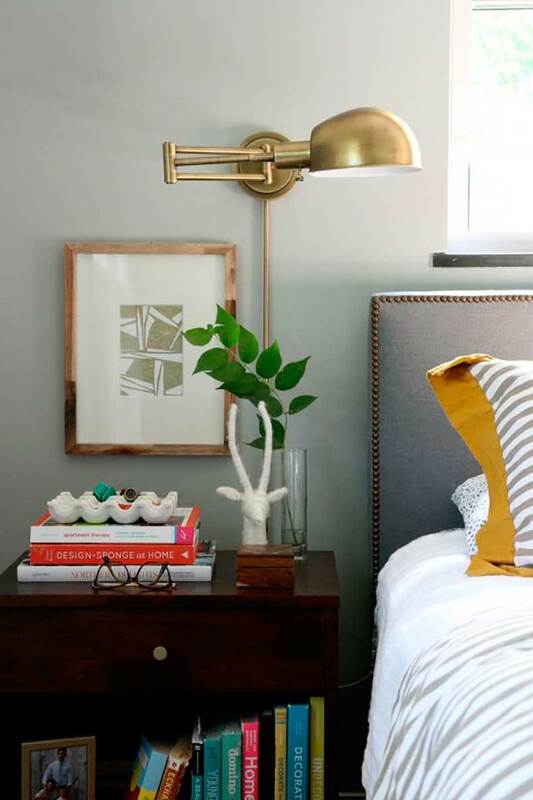 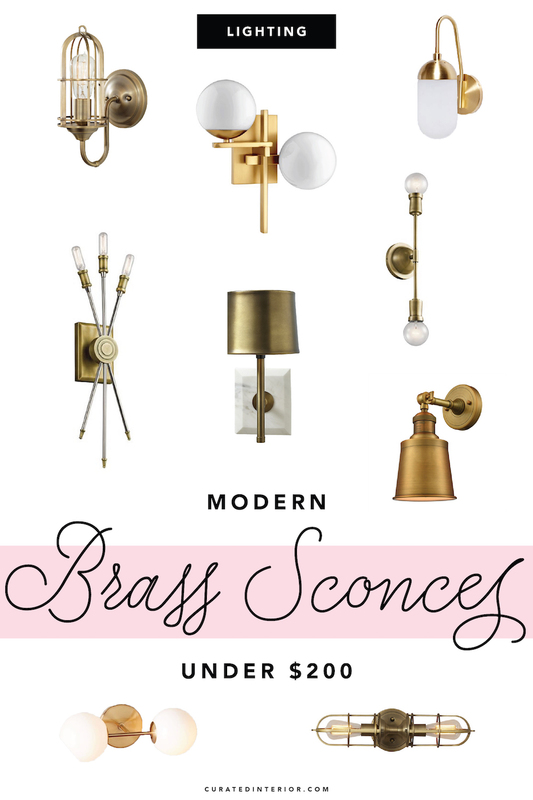 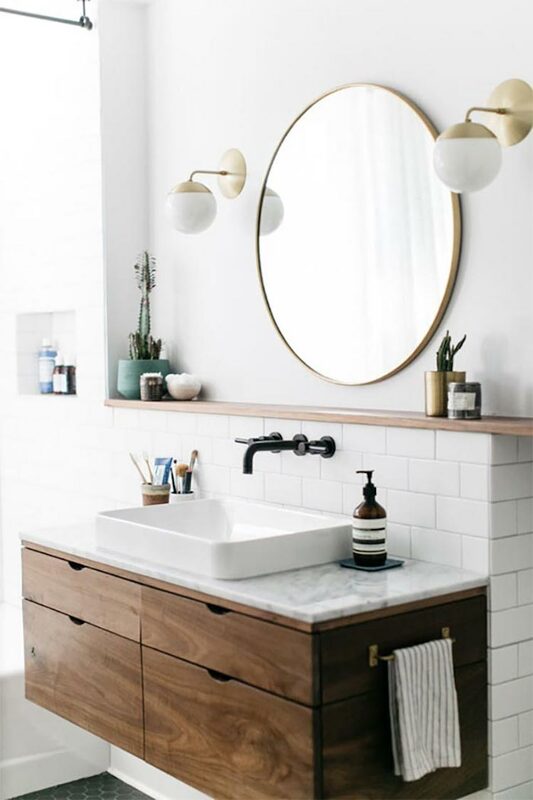 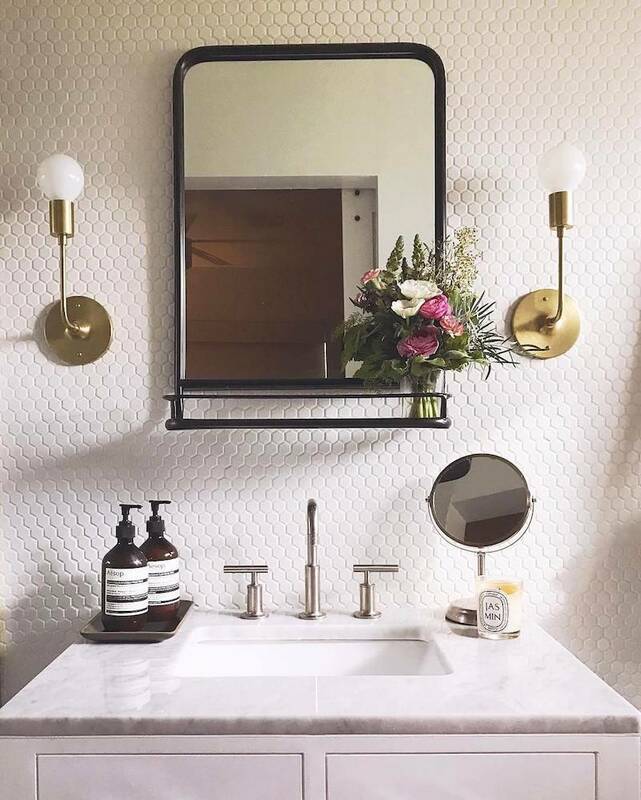 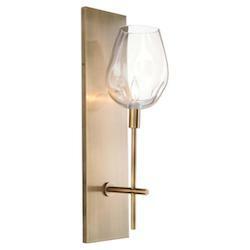 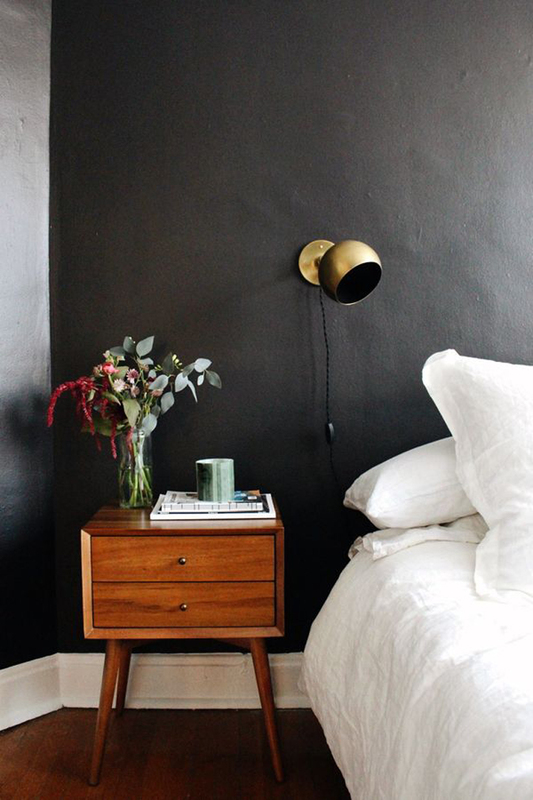 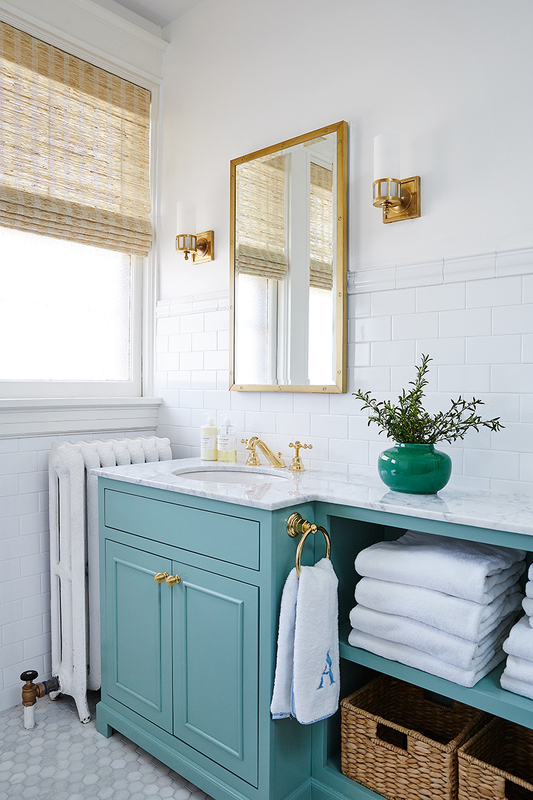 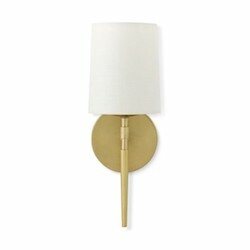 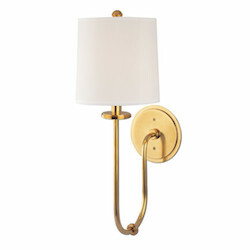 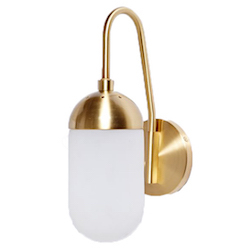 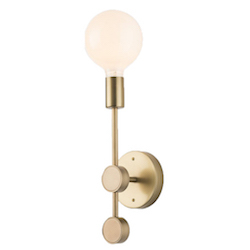 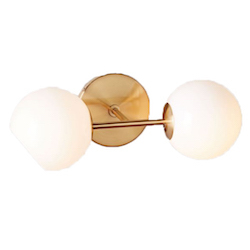 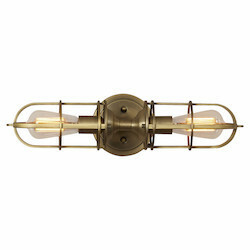 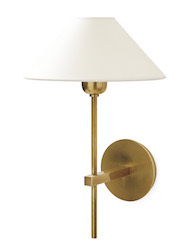 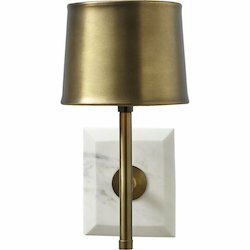 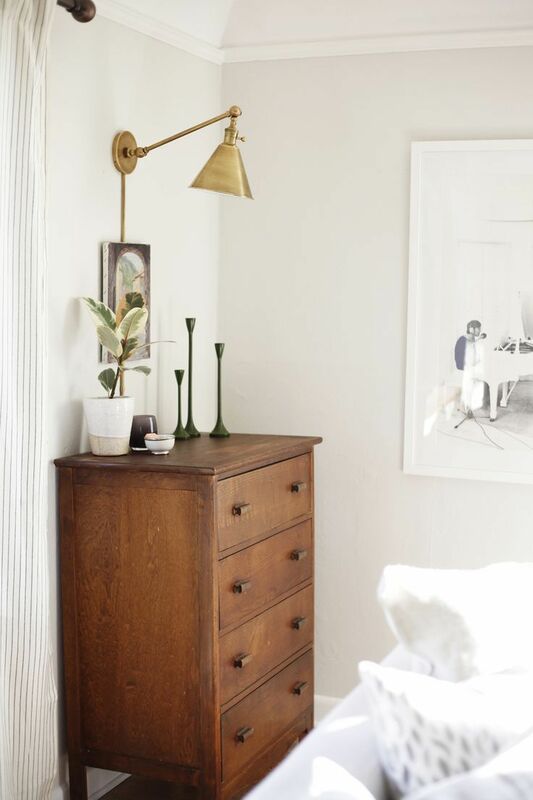 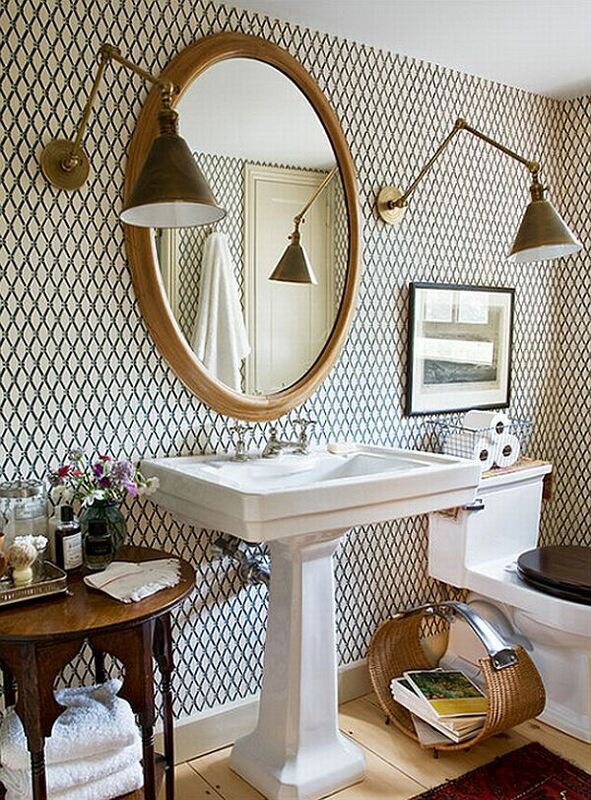 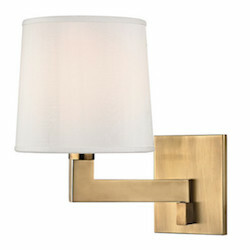 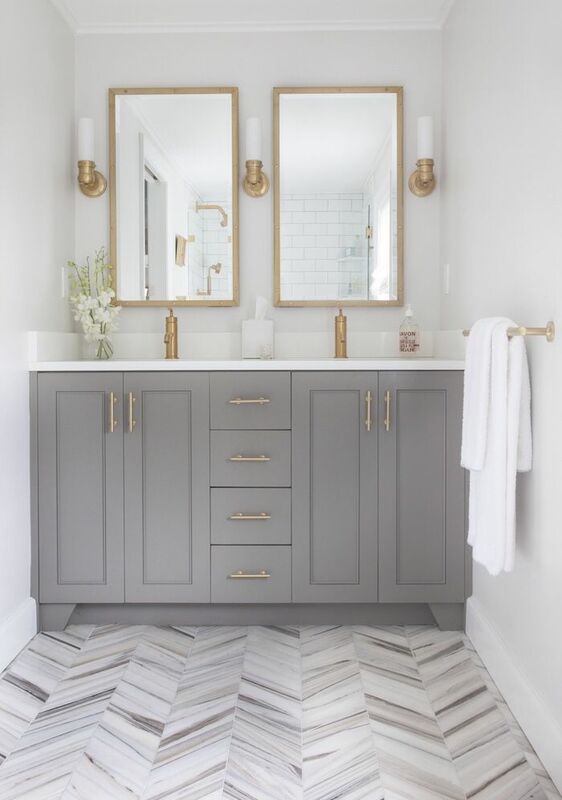 Have you purchased a brass sconce you love?